The Chinese zodiac sign Horse describes the personality of people born in the years 1918, 1930, 1942, 1954, 1966, 1978, 1990 and 2002 or will be born in the course of the year 2014. People born in this sign are full of vitality. They are considered to be very alert and they will always and quickly find new contacts. Horse people are always on the search for new adventures. This behavior is the consequence of the particular diversity of their interests but also of their zest for action and their inner unrest. Individuals born in the sign of horse like to talk and are always cheerful and therefore they have many friends. Whoever is born in the sign of Horse has a lot of power and energy. 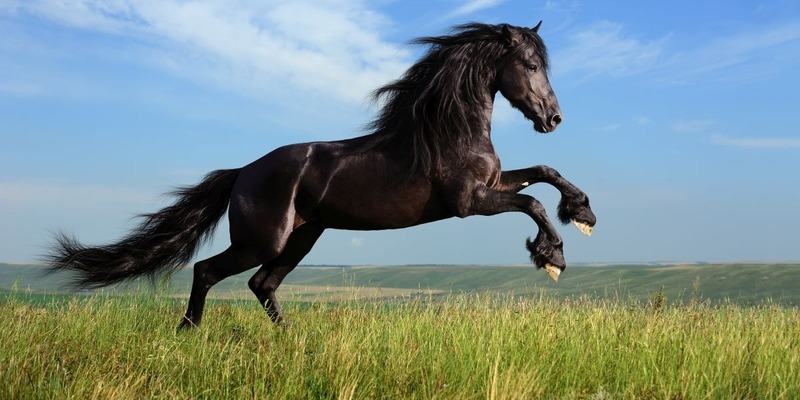 Furthermore, Horses love their freedom, because they are very independent personalities. From time to time, however, Horse people behave somewhat impetuous. This is of great importance, especially in China, because there people want to avoid to give birth to a daughter in the sign of Horse. The spirited Horse is usually very charming and amiable towards other people. In most cases, they have traditional and conservative attitudes and put much value on prestige and power. However, Horse people are fair losers and so they will not find it difficult to admit mistakes. People born in the Horse Chinese zodiac sign, no matter if man or woman, are diligent and strong fellows. They love to be in contact with other people, do a lot of sport and love to go on journeys. For people born in the sign of Horse, it is very important to get attention from other people to a certain extent. This is more important to them than personal honor. People born in the sign of Horse are very honest, unprejudiced, they are very natural as far as their personality is concerned and very flexible in their reactions. Horses are good team players, but they are also very ambitious. People born in this sign are intelligent and quick-witted, but somewhat impatient and sometimes very impulsive, too. People born in the sign of Horse will very often tread on other people’s toes with their statements and will considerably exceed their powers without noticing that. Horse people can also be moody and indiscreet and will very often allow for imprudent actions. It is also possible that Horses behave inconsiderately and will respond very sensitively to criticism. Individuals born in the sign of Horse will much too often think that their fellow people have to tolerate everything what they are doing. Furthermore, their behavior might develop into fanatic traits in certain situations and then they will very often exceed the limits of what is reasonable with their risk-taking behavior. In their professional life, people born in the Chinese zodiac sign Horse will not show much patience. They just want to make one big step in order to achieve the success desired. However, despite of all their impatience, Horses are very good team players which will very often succeed in getting their colleagues enthusiastic and motivating them. People born in the sign of Horse have many talents and their mind is full of new ideas. Therefore, it sometimes happens that they start too many projects at a time, which they are not able to finish. Horses are no workaholics, and they also need to take rest breaks in their professional life, too. They will have absolutely no problem to call in sick occasionally when they feel exhausted. Individuals born in the sign of Horse have a particular talent for foreign languages, which will be a very practical talent on the job. Through their open-minded and humorous personality, one cannot be angry with them for a long time when they made a mistake and therefore, they are usually very popular with their superiors and colleagues. In financial matters, people born in the zodiac sign Horse are always very lucky. They are able to handle their money very well and will save their money in a foresighted and profitable manner. However, material things do not have such a great meaning for Horse people because their freedom and their independence is worth much more to them that all the gold in the world. Sometimes their temperament will bold, which will then lead to imprudent financial transactions. They are not the natural accountants but this is no reason for them to lose their temper. Horse people will presume to know everything better than other people and like to throw a blow. However, when they receive a blow, it will become critical, which is also true for their relationship. In their relationship, however, people born in the sign of Horse will very often succeed to avoid trouble or to appease their partners quickly through their particular eloquence. People born in the sign of Horse are very sociable people who like to pursue their hobbies, to go to parties and who like to be the center of attention because they invest a lot in their outer appearance. Individuals born in this sign carry a lot of passion in themselves, which will repeatedly attract their partners and due to this, a Horse will not be alone for a long time. Therefore, their partner should also be very full of zest for life and will have to pay attention that their favorite Horse will not get bored in the relationship. If that happens, the horse will soon quit this situation. Horses are very passionate and sometimes even uninhibited lovers. They have an intensive sexual life and love to fall in love very often. Therefore, Horses need steady change and new impulses in their relationship because otherwise they will get bored very quickly and will then turn to a more interesting partner. People born in the sign of Tiger are the most suited partners for Horse people. These two dynamic zodiac signs could really develop a relationship full of deep and true love. Both signs carry a lot of passion and fire inside and they have other characteristics in common, too. Horses as well as Tigers are very energetic and are famous for their spirit of adventure. A relationship with Dog people can also turn out fine for individuals born in the Chinese zodiac sign of Horse. Both partners highly estimate love as a crucial part of their life and will match to each other perfectly in many aspects so that their relationship could become very harmonious. However, a relationship with the zodiac sign Rat will not turn out very well for the Horse. The flame of passion may be burning ablaze between the two but this fire may also become extinct very quickly. When they realize that both of them want to set the direction in their relationship and want to be the boss, this would lead to a struggle for power and would very much strain this relationship and therefore, there are no good future prospects for a relationship between a Horse and a Rat.